Every community can expand and focus , increase, improve and build. 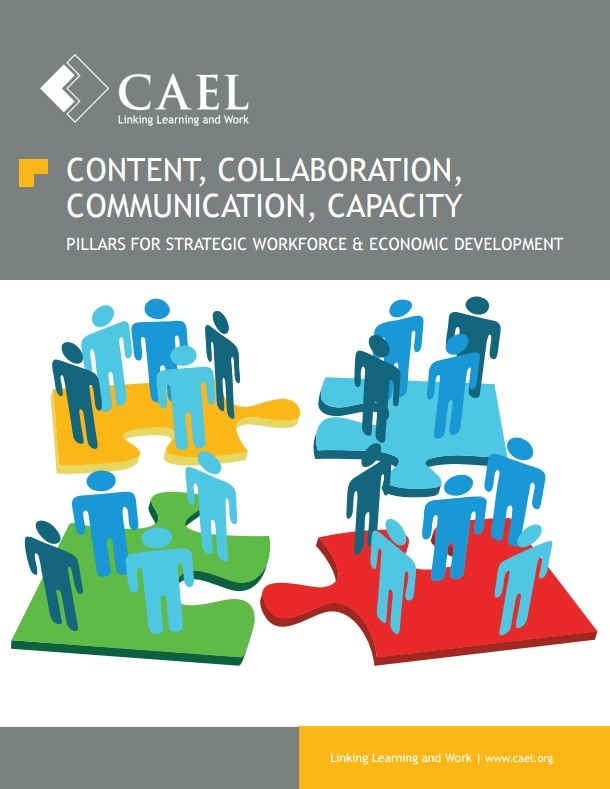 These elements - the 4C's are what form the foundation of many of CAEL's workforce alignment strategies. This framework helps communities of all sizes achieve economic impact regardless of industry focus or workforce and education assets. In the white paper we breakdown the components and provide tips on how you can improve alignment in your community. © 2019 The Council for Adult & Experiential Learning. All Rights Reserved.